Hello beauties, Summer is here and I am not someone who loves summers, especially because I am in Mumbai, and summer here is annoying. This is the season when the skin seems to have a mind of its own and behaves rather unpredictably. Summer means sweating and sweating means makeup rundown, so that calls for a change in the makeup products or add more to the makeup stack to ensure nothing can diminish our beauty not the weather at least. 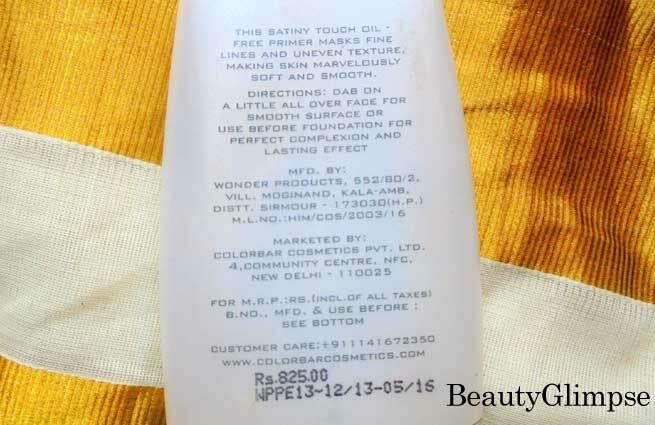 So one such product, which we need the most during summer is a Primer. A primer basically preps your face for a smooth application of the foundation. It creates a smooth surface by tightening the pores. A primer basically is supposed to lock the makeup and make it lasts long. So let’s see how the Colorbar Perfect Match Primer fares. 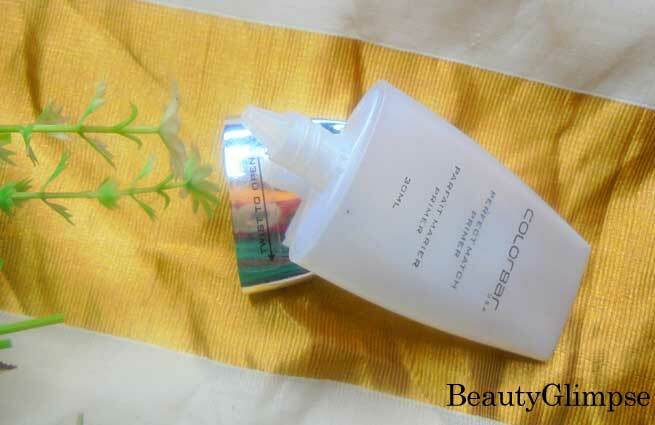 Price: INR 825/- for 30ml. Packaging: The Colorbar products all have a monotonous yet sleek outer packaging which is silvery shiny, but nothing fancy. The primer comes in a white sheer tube with a silver twist cap. The sheer bottle is quite pretty and great for travelling. It is quite simple in terms of packaging but then we are more concerned about the product rather than the cover, right? 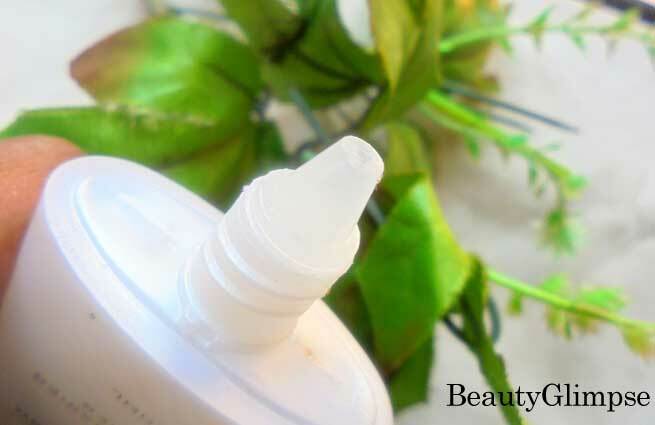 The product is very easy to use, as the bottle has a nozzle and the product comes out easily as per our requirement. So this baby from Colorbar is a perfect choice for an affordable primer and does a pretty good job for its price. The primer is in a clear gel form. It is transparent and has no particular smell too. It easily spreads on skin and blends seamlessly. It does leave the skin smooth and the application of foundation becomes much easier post prepping your skin with this primer. The gel consistency makes it a great choice for oily skinned beauties. That is because this primer minimizes the facial pores and controls the oil formation by not letting the makeup clog the pores. 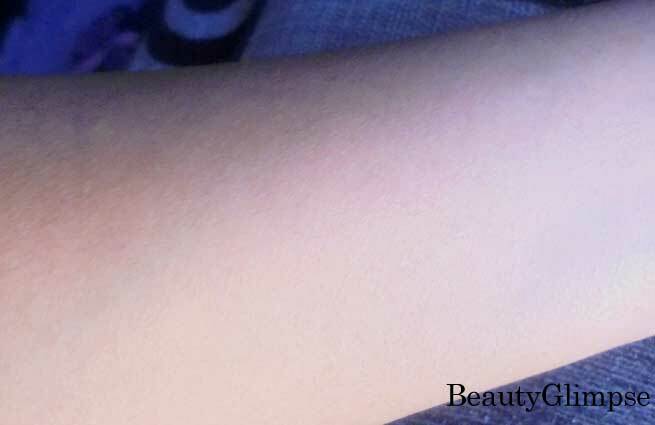 Thus, it creates a barrier between the skin and the makeup. I have used this primer throughout the winter and rainy season and it was excellent but of course its real test would be in the summer. I have used for a week this summer and it has fared pretty well. I recommend this primer to all girls looking for a primer that would not cause breakouts and will control oil formation in the skin. One downfall concerned with this primer is that it contains silicone, so it may not suit everyone especially if you have a sensitive skin. 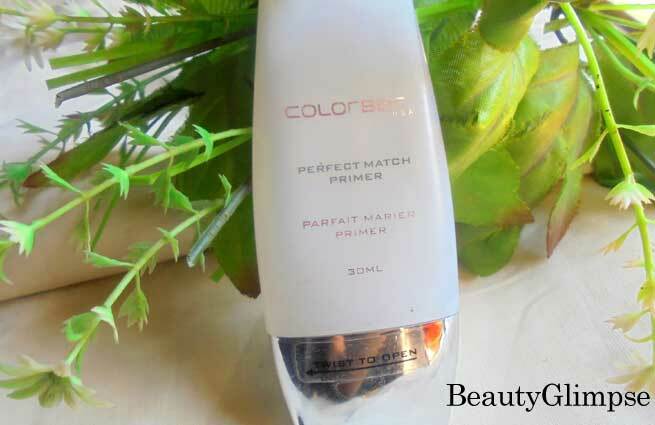 Final word: Colorbar Perfect Match Primer is overall a good primer that suits oily skin the most. If you have a sensitive skin, then you might have to give a second thought and test it before you use it as the presence of silicones and parabens could affect your skin adversely. Otherwise this is a great product to have in your kitty.